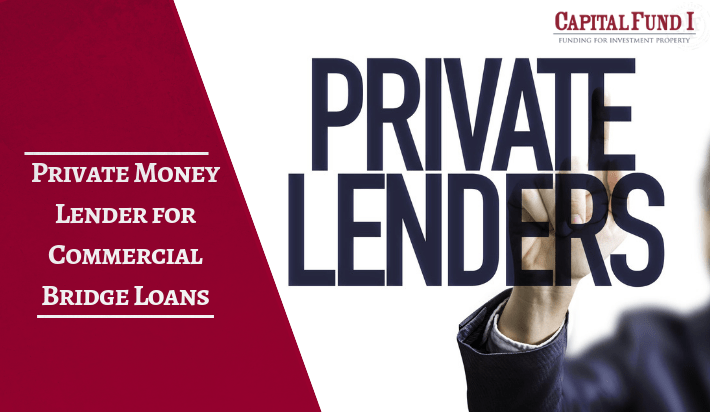 With a variety of commercial lending options available, it can be difficult to weigh the pros and cons of each financing solution for your business. In order to determine whether commercial bridge loans are right for you, consider the following benefits of this flexible financing option by Capital Fund 1. Unlike a standard mortgage which includes long terms and strict requirements, a commercial bridge loan is used to ease the transition from one financing solution to another. Or, if you are only in need of short-term financing, a bridge loan can improve your working capital and keep your business responding quickly to any crisis or day-to-day expenses. A low credit score is a common factor that prevents small businesses from receiving the financing they need. If your business struggles with low credit, consider using a commercial bridge loan. Because Capital Fund 1 offers hard money bridge loans, you’ll have flexible capital that you can use for any business expense. Timely payments can improve your credit score and put you in a position where you can access long-term financing options. Does your business need remodeling? If you’re considering a construction loan, a commercial bridge loan can also act as an interim loan that provides the capital you need to make necessary improvements. Once your business is renovated, you can refinance your mortgage and receive excellent rates. As a hard money loan, you have complete control of how you use your capital to invest in your company. Whether you need a quick loan for operational expenses, renovation costs, or any combination of the two, it’s a dynamic alternative to slow and restrictive long-term loans. Unexpected investment opportunities can come and go within days. Successful investing and expansion of your business often requires quick decisions and enough working capital to close a deal. Your bridge loan can be used to invest in new property, add a new line of products, or make any other decision you need to keep your business dynamic and relevant to your current customer base. Since Capital Fund 1 is an asset-based lender, you’ll enjoy competitive rates without the necessary credit score. You won’t have to worry about submitting personal tax returns or prepayment penalties. This allows you to pay back your loan quickly as soon as you receive a return on your investment or are able to secure a more long-term solution. Many commercial loans restrict prepayment options with heavy fines. Your bridge loan should be completely flexible in responding to your day-to-day needs. Whether you’re operating an industry-leading corporation or a small business just getting started, our commercial bridge loans can help you reach your business goals. Whether you’re using your current commercial property as collateral or using a bridge loan to gain access to a new commercial investment properties, like offices, apartments, warehouses, etc., you’ll receive hard money that you can use to purchase the property or make necessary repairs to improve the value of the property. Long-term goals often require short-term solutions. A hard money bridge loan can provide your business with the stepping stone it needs to grow. Compare our loan rates and discover why Capital Fund 1 is a competitive option for a variety of loan sizes and terms. New business ventures or business growth opportunities are all possible with this easy-to-access financing option.